"Light hit the pews at St. Peter's Church Chelsea, one of the oldest Gothic Revival #churches in New York City. The building, which was consecrated in 1838, needs a lot of help; about $15 million worth, the Rev. Stephen Harding estimates. Its claim to the public's heart is its association with Clement Clarke Moore, who wrote "A Visit From St. Nicholas," better known to modern readers as "The Night Before Christmas." (He sold the land to the parish for just $1.) 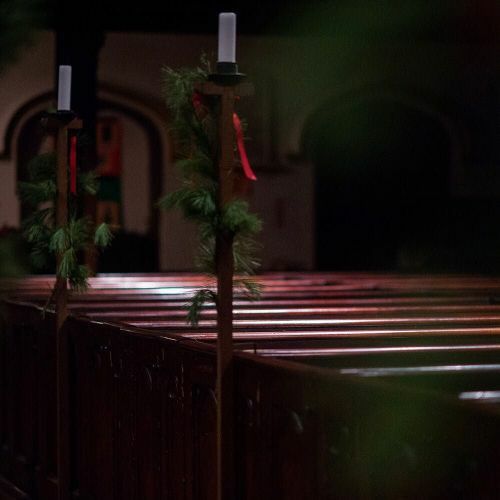 @nancyborowick photographed the pews, which are original to St. Peter's." By nytimes on Instagram.